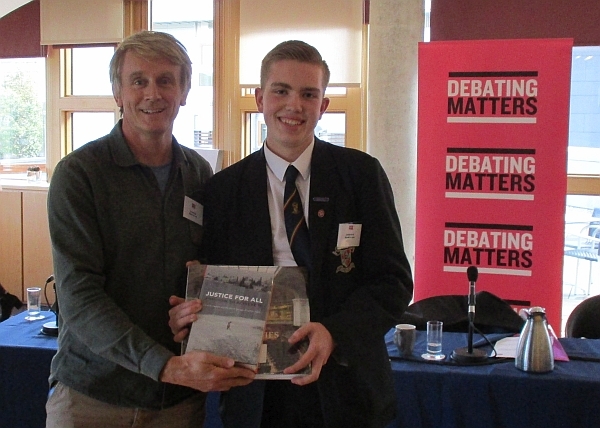 An excellent team from Bearsden Academy beat five schools from across Scotland to win the coveted Debating Matters Scotland trophy at a flagship day of debate hosted at the Scottish Parliament. The competitors engaged in a tough day of debate at Holyrood, sponsored by Ross Greer MSP and ACCA. Ross Greer MSP introduced the day. 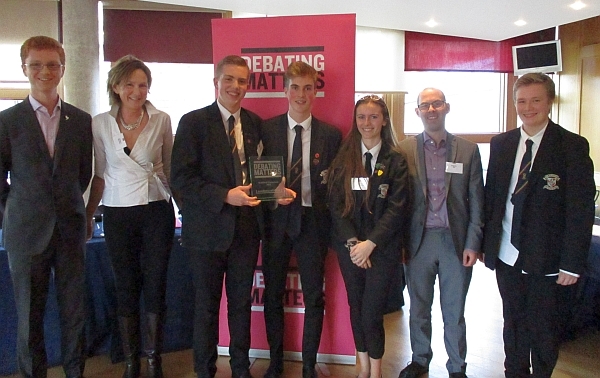 Ultimately, the Bearsden team impressed all the judges and schools with their sharp ideas, broad approach to the topics and outstanding research, winning through a tie-break in the group stage and then coming out on top in thrilling final on Artificial Intelligence to be crowned Debating Matters Scotland Champions 2018. Merchiston Castle School were Bearsden’s opponents in the final, and also argued intelligently throughout a day that included debates on ‘It is wrong for countries to offer tax incentives to attract investment’, ‘Monuments to controversial historical figures should remain’, ‘Universal basic income is not a solution to our social and economic problems’ and ‘Humanity should fear advances in artificial intelligence’. 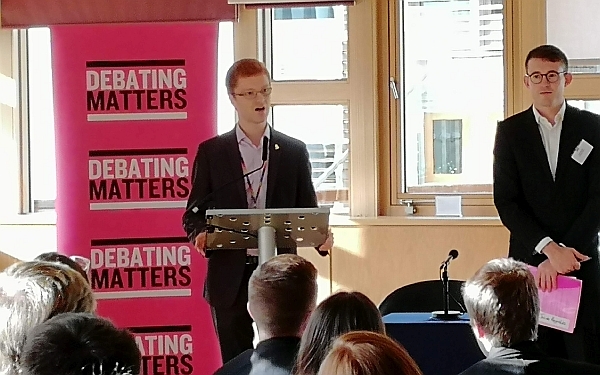 During the day, Ross Greer MSP – the youngest ever MSP and himself a former competitor in Debating Matters – encouraged the students present to not shy away from the logical implications of their arguments and to dare to think. These qualities, he added, are especially important to highlight today. The judges also awarded Jonathan Smith from Bearsden Academy the prize of ‘Best Individual’ for his consistently penetrating questions, with Jordan Campbell of Bishopbriggs Academy and Jessica Campbell of Wallace High School picking up the ‘Highly Commended’ and ‘Commended’ titles respectively.